A collaboration with dancer Tariq Mitri and multimedia artist Reilly Donovan for a performance inspired by the visual and performative work of Yayoi Kusama. 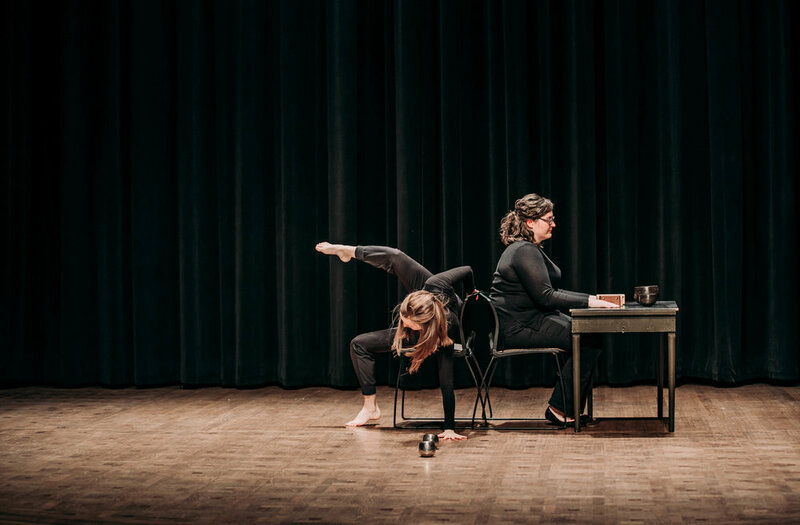 A multi-medium performance directed by Paige Barnes, Amplifying pulse is a performance work inspired by the Traditional Chinese Medicine method of reading the pulse. The work moved between the intimacies of individual pulse readings and the invited chaos of group improvisations with dance and music. A collaborative duet with percussionist Melanie Voytovich, exploring the translation of composition approaches in two creative mediums. This work contributed to Melanie's dissertation research for her Doctorate of Percussion Performance from the University of Washington School of Music.